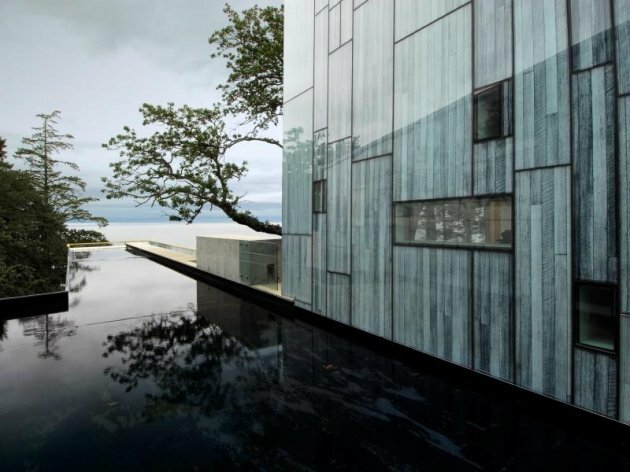 Architect Marko Simcic designed this 8300 square foot waterfront house located in the rural district of Metchosin, British Columbia, Canada, which is on the southern end of Vancouver Island. 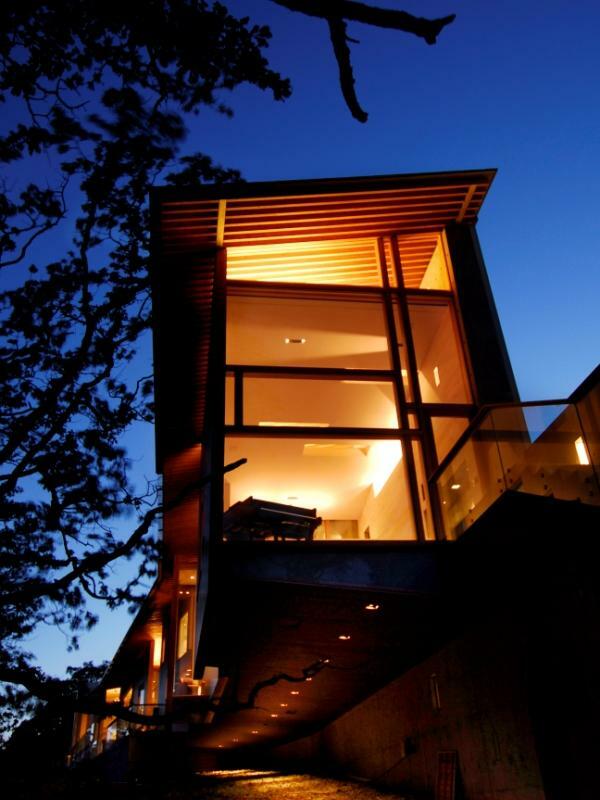 Although the house is large, Simcic took great care in placing the home on the 67-acre site in order to preserve the existing grove of oak trees. 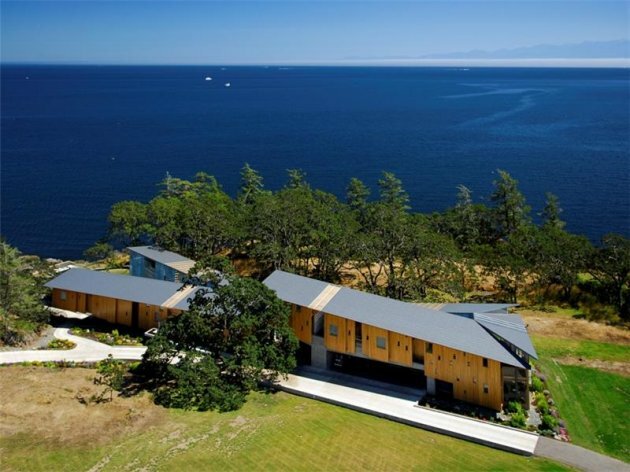 The building actually consists of two seperate homes, the larger main house is located closer to the ocean, while the guest house is set back inland. 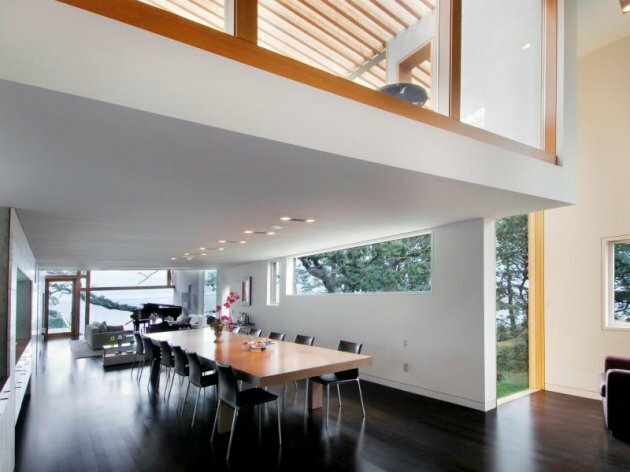 Although separated by an exterior space, the two buildings appear as one because of the continuity of the roof plane. 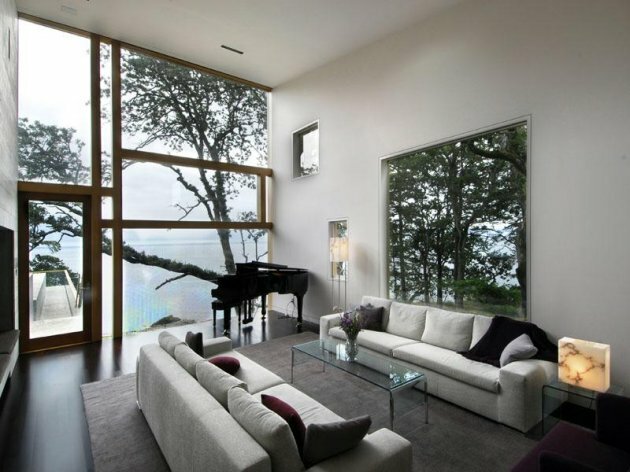 The home is currently for sale through Sotheby’s Realty, view the listing – here. 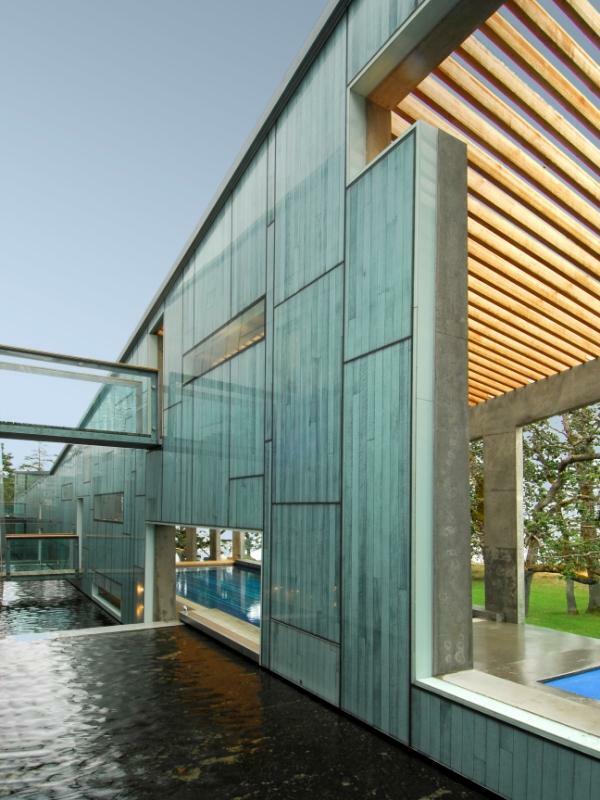 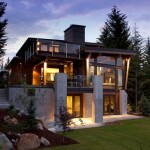 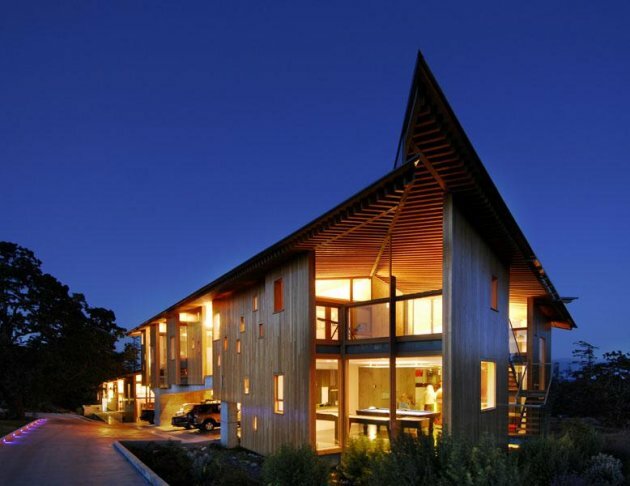 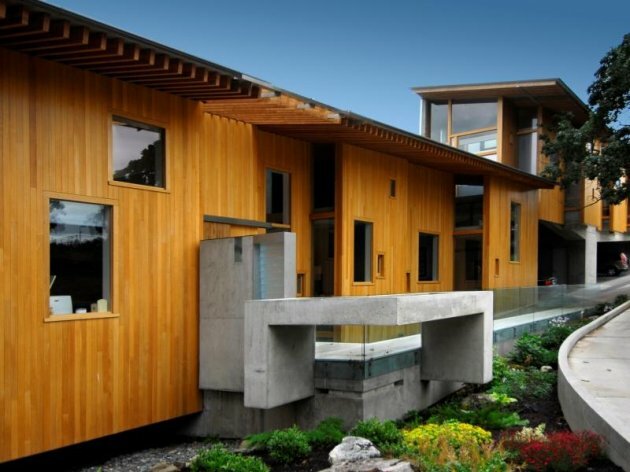 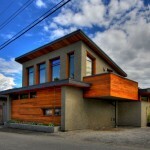 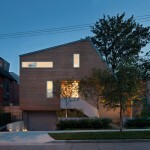 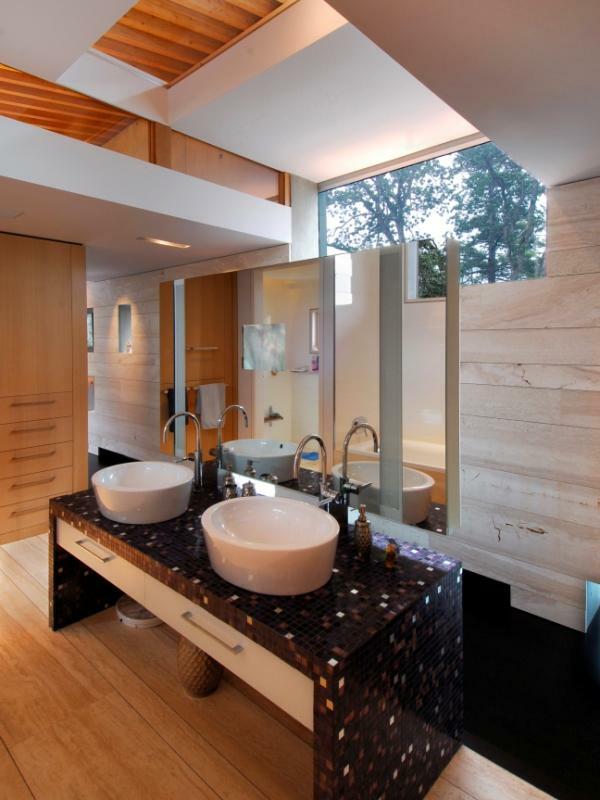 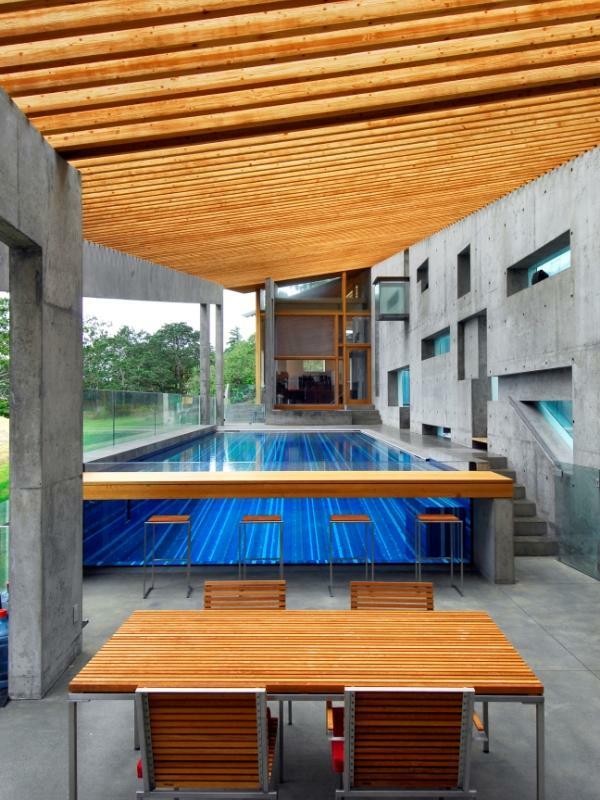 Read more about the home in this article from Canadian Architect Magazine – here. 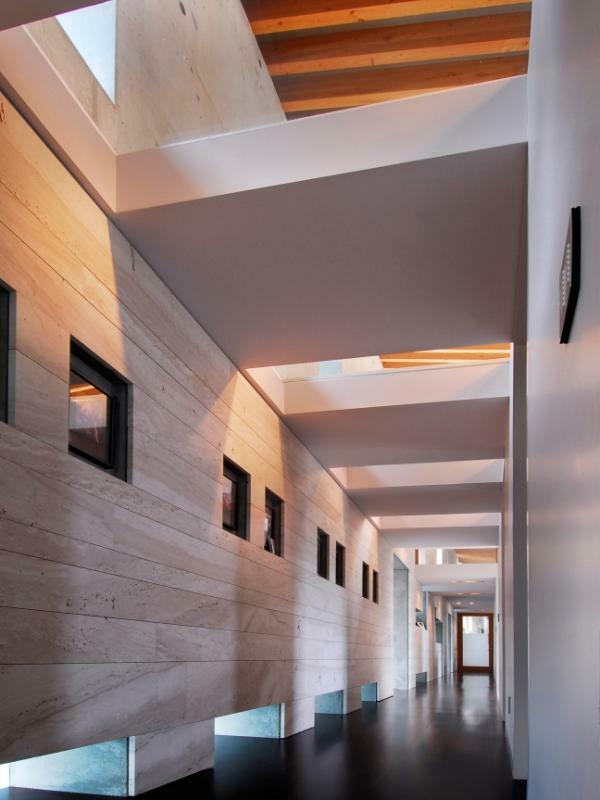 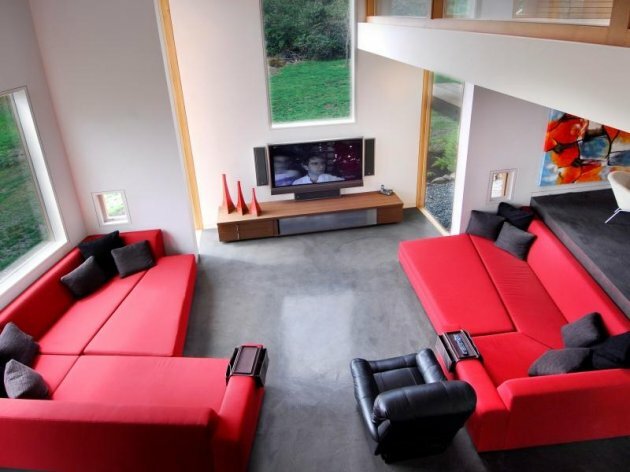 Visit architect Marko Simcic’s website – here.